Otolaryngology Update: “Head And Neck Cadaveric Dissection Workshop–2016” on 22- 24 Jul 2016. 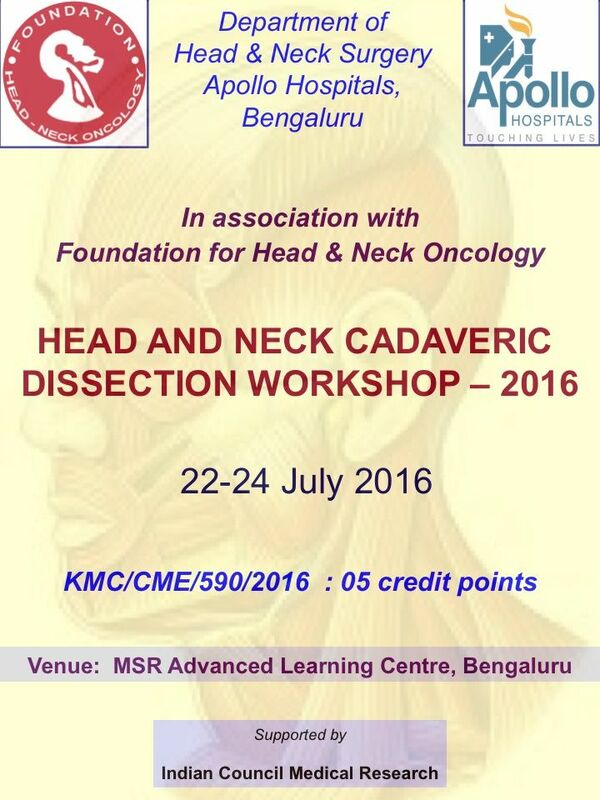 “Head And Neck Cadaveric Dissection Workshop–2016” on 22- 24 Jul 2016. 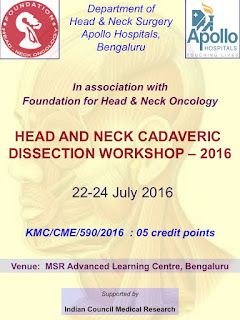 The Department of Head Neck Surgery of the Apollo Hospitals, Bengaluru is conducting a three day national “Head And Neck Cadaveric Dissection Workshop–2016” on 22- 24 Jul 2016. 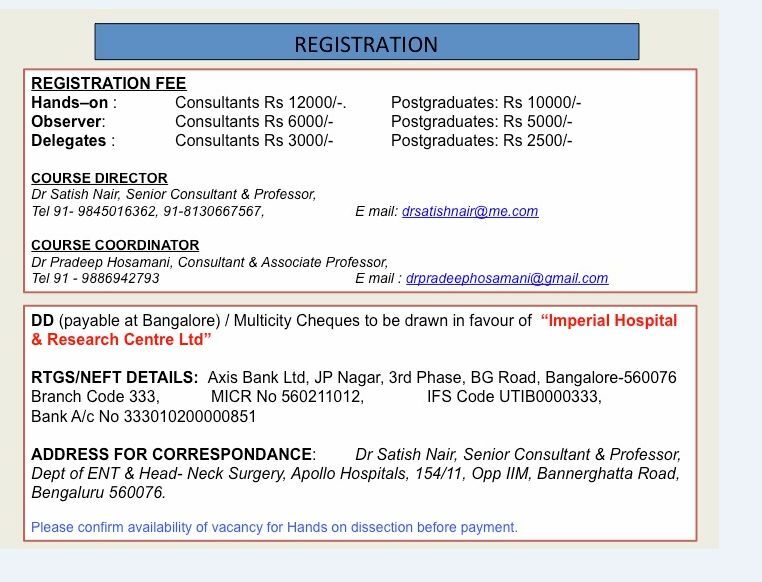 The workshop is being organized by Apollo Hospitals Bangalore. It is accredited by Foundation for Head Neck Oncology (FHNO) and 5 KMC credits have been awarded. Theoretical aspects of Head – Neck Surgery as relevant to ENT, General Surgery, Surgical Oncology and Oral & Maxillo - Facial Surgery. Clinical protocols in management of the various head and neck malignancies. Improving the surgical skills by means of hands-on training in cadavers. We have formulated an innovative format which combines formal Teaching sessions with supervised practical training. 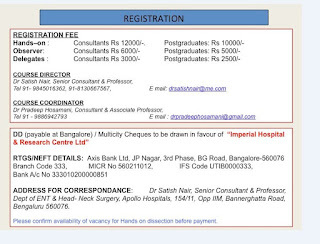 The faculty includes stalwarts in the various disciplines involved in Head –Neck Oncology.